Is Gov. Moonbeam building an army? 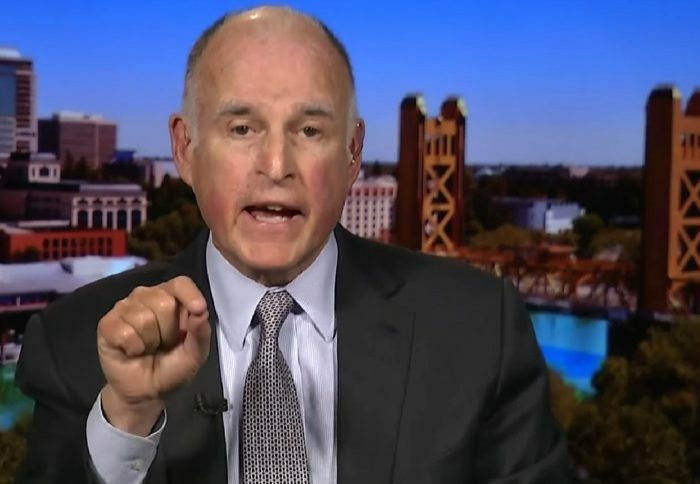 Perhaps if Governor Jerry Brown spent more time worrying about his own state’s well being and less about President Donald Trump, California might not have the horrific financial issues they are currently experiencing. Leave it to a Democrat to try and tell others how to run their house when they can’t even run their own. “We are building a coalition that covers about 30 percent of the GDP of the world and well more than a billion people,” he said. “So, we are taking action in California. We are linking up with other similar-minded people all over the world. And we are pushing forward, even as Trump blusters, he cannot command the tides to not come in.” Read more at BNN. Is this not inciting violence against the President of the United States of America?